We had a big group of people–33 by our count–who attended the Sept 13 monthly meeting of AUS at the Central Market North Community Room. It’s been great to see people coming to join us for the first time; we hope you enjoyed it and will come back. 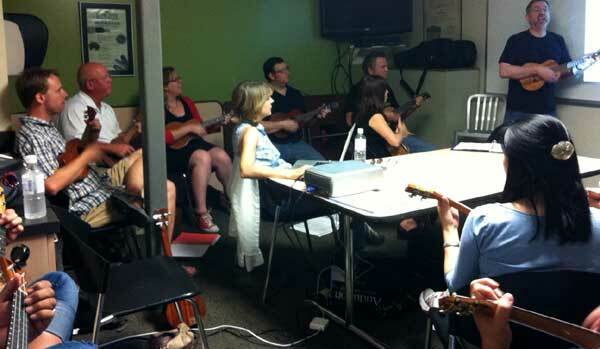 Sweetpea’s Ukulele Night at Skinny’s Ballroom next Wednesday, September 21, at 7:00pm. Skinny’s (http://skinnysballroom.com/) is located downtown at 115 San Jacinto with parking right across the street. Our next meeting will be held once again at the Central Market North Community Room, from 7 – 8:30 p.m. on Tuesday, October 11. See you then, and watch for an announcement about our newest song. 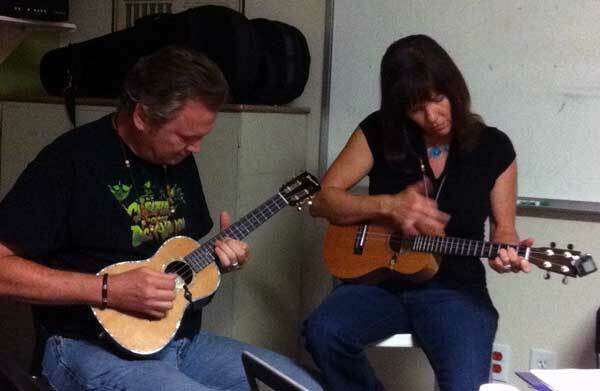 This entry was posted in AUS activities on September 15, 2011 by Austin Ukulele Society.